Vera Arlene Agler, 70, of Pleasant Township, passed away at 10:33 p.m., Tuesday and Lima Memorial Hospital. She was born on August 27, 1942, in Van Wert County, the daughter of the late Tennyson and Mildred (Cowell) Corathers. On October 28, 1961, she married Ronald E. Agler who survives. Other family members include two daughters, Beth Cobb and Lisa (Kenny) Dull, all of Van Wert; two grandchildren, Ronald J. Cobb and Haley Star Ullinskey; one great grandchild, Allison Star Ullinskey; and one sister, Shirley (John) Eibling of Van Wert. 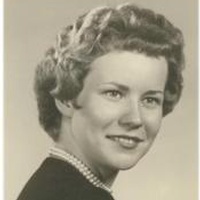 Vera was a 1960 graduate of Van Wert High School and a retired telephone operator having worked for Sprint in Lima. Services will be held at 11 a.m., Saturday, July 27, 2013, at Cowan & Son Funeral Home with Rev. Paul W. Miller officiating. Burial will follow at Van Wert Woodland Cemetery. Calling hours are 9 - 11 a.m., Saturday. Preferred memorials are to Trinity Friends Church or the donor's choice.